Much like any organization in today’s day and age, most IT teams are looking for the best possible solution for their needs. In this highly competitive ecosystem there are many similar products that have the exact capabilities that your organization might need, but finding which ones that work for you is sometimes difficult. 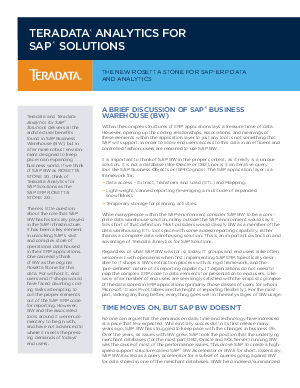 Download this white paper to learn how to build a complete data warehouse solution and see which solution would be the best for your organization’s needs.